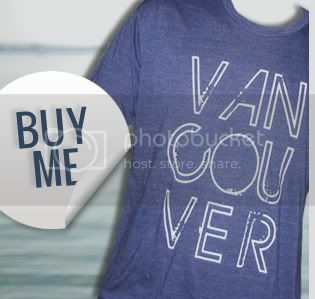 We love getting photos from people wearing their Vancouver, we love you shirt around town. 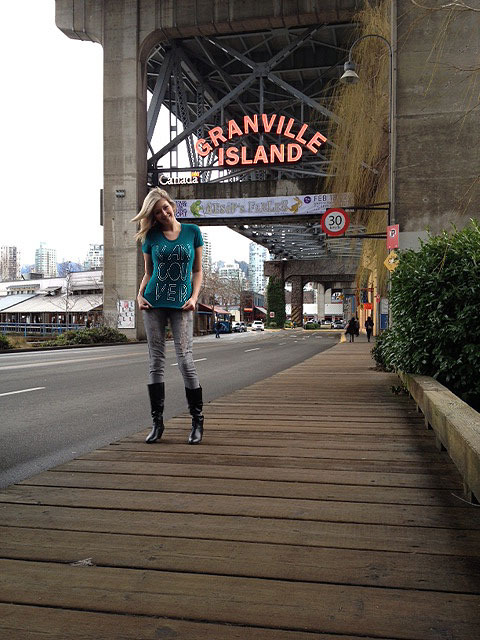 Check out why Vancouverite Sarah loves Granville Island! Like many other people, I completely adore Granville Island. The atmosphere is so unique and dynamic -- it's my escape from the city that requires virtually no travel. This is the place I take all of my out-of-town visitors, and my guests always leave raving about the experience. 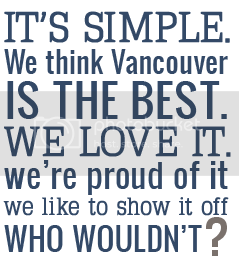 I think what I love the most about Granville Island is that no matter how many times I go there, I always stumble upon something new that alters me in some way… On my most recent visit, while enjoying a delicious specialty coffee in the Public Market, a violinist set up right in front of where we were sitting. His tunes were unexpectedly breathtaking – his passion for the music came through like I haven't seen before. Then, as if it couldn't get any better, my friend pointed out something simple yet beautiful: amidst the twoonies in his open violin case, was a handwritten sign that read, "Stop chasing life. You have everything you need to revel in the beauty and power of yourself right from this very moment." I think I could hear the "click". Altered, yet again. Never fails! 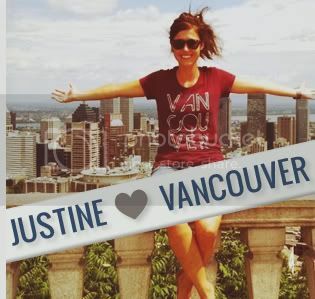 Do you have a photo of yourself in one of our shirts or hoodies? Email it to us so we can post it right here!